Marine and coastal resources provide millions of people with their livelihoods, such as fishing and tourism, and a range of critical additional ‘ecosystem services’, from biodiversity and culture to carbon storage and flood protection. Yet across the world, these resources are fast-diminishing under the weight of pollution, land clearance, coastal development, overfishing, natural disasters and climate change. 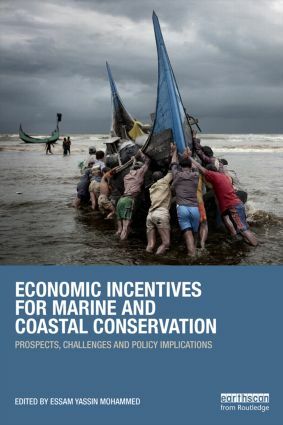 This book shows how economic instruments can be used to incentivize the conservation of marine and coastal resources. It is shown that traditional approaches to halt the decline focus on regulating against destructive practices, but to little effect. A more successful strategy could be to establish schemes such as payments for ecosystem services (PES), or incorporate an element of financial incentives into existing regulatory mechanisms. Examples, both terrestrial and marine, from across the world suggest that PES can work to protect both livelihoods and environments. But to succeed, it is shown that these schemes must be underpinned by robust research, clear property rights, sound governance structures, equitable benefit sharing, and sustainable finance. Case studies are included from south and east Asia, Latin America, Africa and Australia. The book explores the prospects and challenges, and draws lessons from PES and PES-like programmes from across the globe. Economic and non-economic conditions affecting sustainable aquaculture: why don’t small shrimp producers participate in organic certiﬁcation schemes? Could payment for environmental services reconcile ﬁsh conservation with small-scale ﬁsheries in the Brazilian Amazon?